How well do we know our parents? Olivia Bonocchio's answer to that question would be: not at all. Olivia's father, Luigi, an Italian immigrant who raised her on his own, has kept his past closely guarded. After Luigi�stricken with Alzheimer's�dies, Olivia discovers a deed in his name, dated 1940, to a house in Italy. Intrigued, she travels for the first time to his Italian hometown, Urbino. At first, Olivia is charmed by the historic, art-laden city, complete with an architecturally significant ducal palace and a favorite son Renaissance painter. She's equally charmed by the young lawyer she's hired to help her investigate the deed. But as Olivia begins to delve into her father's past, she is provided a glimpse beneath the mythic surface and, in a be-careful-what-you-wish-for answer to her desire for personal history, uncovers the secret that caused her father to leave his family and his country behind. Natalie Danford's debut novel, Inheritance, explores the challenge of knowing anyone�our parents, our partners, or even ourselves�fully. 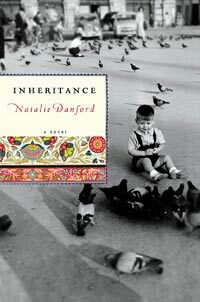 In Natalie Danford's Inheritance, Oilvia Bonocchio goes where each of us know we should never go: past a father's persona and into the sloppy, disconcerting truth of who he really was. Danford perfectly captures the dance between the kind of knowledge that can banish a person from the garden and the sort of truth that can set her free. Inheritance may be a debut novel, but the storytelling is so assured, it reads like the work of a reliable old pro�something Danford seems destined to become. In prose that is as elegant as it is subtle, Natalie Danford captures the true essence of Italians, both in Italy and as Americans. Her portrayal of an Italian-American daughter's return to her father's homeland is beautiful and evocative. Natalie Danford's engaging first novel dances elegantly between past and present, mystery and memory play, family drama and immigrant tale. Danford commands her tough, prideful characters with a sure hand and leads the reader on a memorable journey across the twentieth century in two countries. This seductive and beautiful debut crosses the border between modern America and World War II Italy, between the living and the dead, tracking one family's hidden secret�and illuminating an entire world at the same time. Her characters are fragile, fearless and achingly human, real people who will stay with you long after you�ve reached the book's stunning final pages. Natalie Danford's remarkable and engaging first novel reminds us that to truly understand one's legacy isn't just to hear, in the language of the present, the words sent from the past, but to know them as if you were there at the moment they were first spoken. Only then will the substance of what you have inherited�its dark mystery, and its revelatory light�become truly yours." Copyright © 2007-2011 Natalie Danford. All rights reserved.